While Starbucks is not the first fast casual restaurant to roll out mobile ordering, it generates the most discussion from the industry when it comes to mobile strategies. The coffee giant faced this again late last week when it revealed in its latest earnings call that the mobile order and pay feature in its popular app might have hampered its earnings. Although the chain reported that its Q1 comparable store sales were up 6 percent in China and 3 percent globally and in the U.S. and Americas during for the 13-week period ending Jan. 1, transactions fell 2 percent. About1,200 locations now get 20 percent or more of their orders through mobile order and payment. Only 13 units hit that mark this time last year. "The tremendous success of mobile order and pay has also created a new operational challenge in our highest volume stores that has been building for several quarters — significant congestion at the hand-off plane," Kevin Johnson, Starbucks' president and chief operating officer, said during the earnings call. 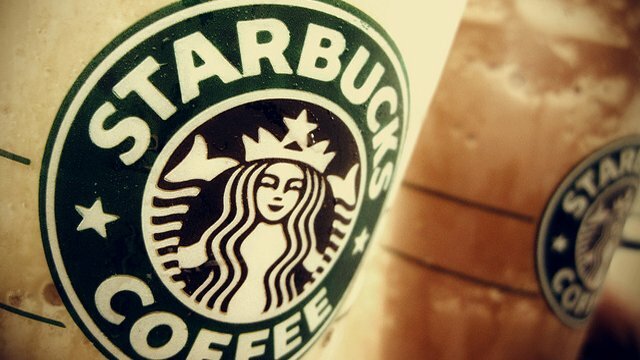 Johnson will take over as CEO in April when Schultz steps down to concentrate on growing the Starbucks retail brand. "This congestion impacted our customer experience and contributed to some number of customers who either entered the store, or considered visiting Starbucks, but did not complete their visit," Johnson said. "We have solved the problems introduced by rapid growth many times over the past several years as our average daily transactions have grown significantly." How Starbucks responds to this challenge is something the industry will closely monitor as mobile ordering becomes a standard feature for many fast casual chains as well as a revenue generator. BI Intelligence predicts mobile ordering will generate $38 billion in sales by 2020. So, there’s an incentive for Starbucks and others to get mobile ordering right. The question now is how to go about doing it. Mobile Payments Today and sister publication Fast Casual reached out to some experts in the industry about best practices and strategies going forward for mobile ordering. Amitaabh Malhotra, chief marketing officer at white-label mobile app provider OmnyPay, believes analytics will play a role for Starbucks and others. "There is a lot of room for predictive analytics to play here," Malhotra told Mobile Payments Today in a Twitter direct message. "Starbucks has immense amounts of data on user ordering behavior, especially during rush hour. Creating a behavioral model, and then applying that to most likely ordered items during rush hour would be the solution." Olo, a digital ordering provider for restaurants, believes Starbucks and other establishments that feature mobile ordering also should seek to reevaluate their internal processes and infrastructure to better accommodate an influx of orders. "As brands grow their digital sales mix to meaningful levels, it should set in motion a continuous series of process and infrastructure changes to better handle evolving consumer expectations as they approach and progress through the store," Marty Hahnfeld, Olo's chief commercial officer, told Fast Casual in an email. "Improved signage and messaging, additional food and beverage prep stations for digital orders, smarter capacity management and order throttling, and even an evolution in the layout of their restaurants — should all be on the table," he said. That appears to be the approach that Panera took in 2014 when it revealed plans for Panera 2.0. Panera aimed the initiative at revamping the customer experience, changing everything from digital ordering to payments and even the storefront atmosphere. "We are extremely innovative and we launched Panera 2.0 in an effort to identify the friction and make it easier than ever for the consumer to access our product," Brian Backer, director of enterprise architecture, said during a panel discussion on future-proofing the retail business at the 2016 NRF conference in New York. How Starbucks addresses its own mobile ordering issues remains to be seen, but Reuters reported that Starbucks is adding more one-to-two more baristas to aid with mobile orders. A spokesperson said company executives "are also rethinking work routines and internally testing text notifications that alert customers when their orders are ready." Even with the mobile ordering issues, Starbucks continues to see a boom from the app. Mobile payments reached 27 percent of U.S. company-operated transactions for the first quarter that ended Jan. 1 2017. Mobile order and pay represented 7 percent of U.S. company-operated transactions in the quarter, up from 3 percent in the prior year. In related news, Starbucks announced it has added voice-ordering capabilities to its iOS app and the Amazon Alexa platform as features of an extension of Starbucks Mobile Order & Pay. Select customers can now order coffee "on command" using My Starbucks barista as part of an initial feature rollout integrated seamlessly into the app, according to a company press release. At the same time, the company is launching a Starbucks Reorder Skill on the Amazon Alexa platform. Both features allow customers to order from Starbucks simply by using their voice. "The Starbucks experience is built on the personal connection between our barista and customer, so everything we do in our digital ecosystem must reflect that sensibility," said Gerri Martin-Flickinger, chief technology officer for Starbucks. "Our team is focused on making sure that Starbucks voice ordering within our app is truly personal and equally important was finding the right partner in Amazon to test and learn from this new capability. These initial releases are easy to use providing a direct benefit to customers within their daily routine and we are confident that this is the right next step in creating convenient moments to complement our more immersive formats. We expect to learn a lot from these experiences and to evolve them over time."